The rainy weather of late had my dining companions and me craving for steaming hotpot. 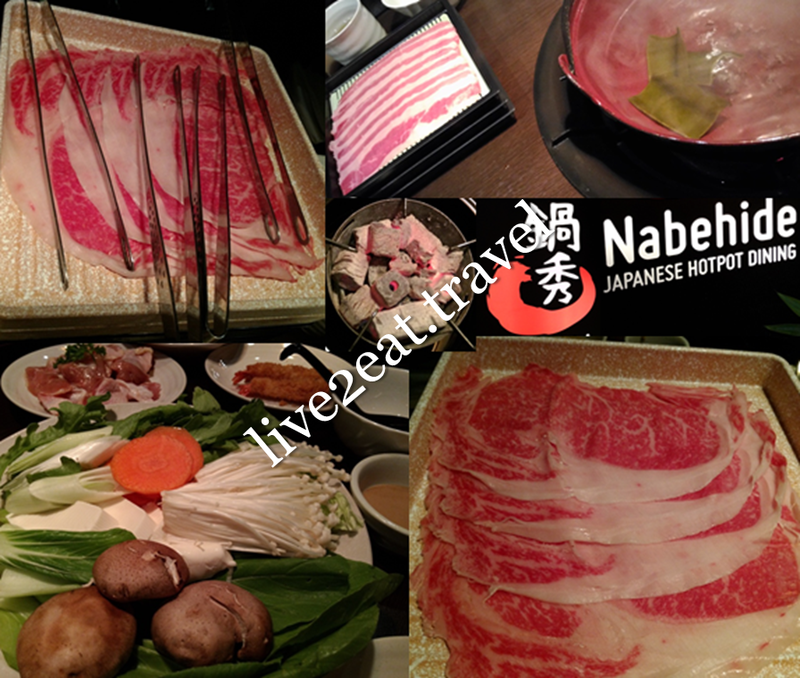 Our choice was buffet at Nabehide – Japanese Hotpot Dining where every two diners received a complimentary portion of Premium Japanese Wagyu. Made a reservation and visited the restaurant, located on the 2nd floor of the black and white building next to Anchorpoint and opposite IKEA Alexandra, for dinner on a weekday. No different from Gyu-Kaku with a branch downstairs and Ito-Kacho at Mandarin Gallery, charcoal was used. This evenly heated up and maintained temperature of the soup, which we chose konbu dashi as it was the only soup base that could be ordered without additional cost. Raw ingredients included chicken, thinly-sliced beef and pork, assorted vegetables such as dang-o, shiitake and enoki mushrooms. There were also cooked food like ebi fry and gyoza as well as homemade dipping sauce of Goma and Ponzu. While the food did not disappoint, it was not worth the price. You may also be interested in Shabu Sai at Causeway Point, Changi City Point and Orchard Central.